Merit is a concept commonly found in Hinduism and Buddhism. In a lot of Buddhist circles people believe if they do good in this life it will mean a good rebirth. This is how they see merit, it is something to accumulate. However, this implies that you score points by doing good deeds, and this goes into some imaginary pot and is miraculously taken into your next life. This seems to be quite a naive view point. I believe this is not how merit should be viewed. 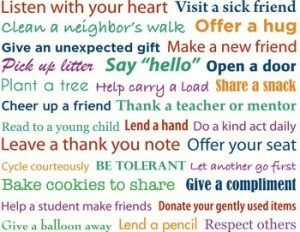 I think if we do a good deed it will leave a positive impression or imprint on our mind. The by-product of that is happiness – something we are all striving for. We feel good when we help others and it makes us a more kind, caring and compassionate person – not in the next life, but in this life. 1) Giving Alms – this doesn’t mean just giving to monks or monasteries, but to all people less fortunate than ourselves. 2) Observing Virtue – this in its basic form means trying to adhere to the five precepts, which are refraining from killing, stealing, lying, sexually inappropriate acts and intoxicants. 3) Developing Concentration – here we are talking about meditation and mindfulness. The only way we can really get to understand ourselves is through mindfulness, and obtain an understanding of Gautama Buddha’s teachings is through meditation. If we understand ourselves and the teachings we will guard our minds from negative thoughts, which in turn means our actions will be helpful and not harmful. 4) Honouring Others – we can do this through polite, kind and modest conduct. 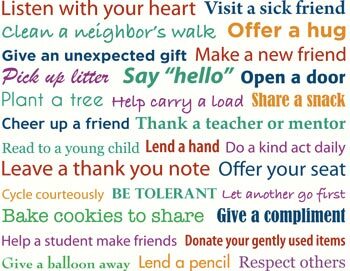 If someone has been kind to you, such as a parent, teacher, friend, acquaintance or stranger, you should return that kindness. 5) Offering Service – lots of people study, meditate and teach about compassion, but very few actually put it into practice. We have to get off of our meditation cushions and get out into the community to help others. 6) Dedicating Your Merit to Others – this act stops us having too much pride and becoming too conceited. Maybe we are good people and help others, so instead of feeling that we are special people, we offer our meritorious imprints to others. It has to be remember that this is a mental act, and we are not actually taking our merit and putting it into someone else’s pot. 7) Rejoicing in Other’s Merit – instead of us becoming jealous or having thoughts of ill-will when someone else has gained merit, we actually rejoice and give them encouragement. 8) Understanding Gautama Buddha’s Teachings – we should listen, understand, ask questions to clear up any doubts, meditate and implement Gautama Buddha’s teachings. This way we will not be causing harm to ourselves or others. 9) Instructing Others in the Teachings – if you have gained knowledge you should pass it on. However, this is only when you have been asked. Buddhism does not encourage followers to go around preaching or trying to convert others. 10) Acting in Accord with the Teachings – this means we have to implement the teachings, and not just understand them intellectually. We should act in accord with the five precepts, four truths and the eightfold path and so forth. If you wish to collect good imprints in your mind, this is the way to act. These imprints become more powerful when our actions are committed without the three poisons, which are attachment, aversion and unawareness. The problem with only doing acts so as to get a better rebirth is that these acts are selfish, and so actually cannot really be called acts of merit. When we act in a selfish way we are not leaving positive imprints in our mind. In fact, it is the opposite. If we see our mind as the pot and merit as positive imprints, I believe, we are understanding what Gautama Buddha taught about merit. The 2nd edition of The Best Way to Catch a Snake is now available.